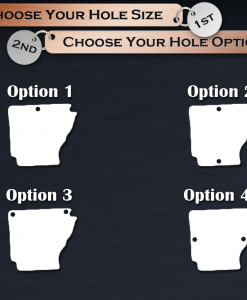 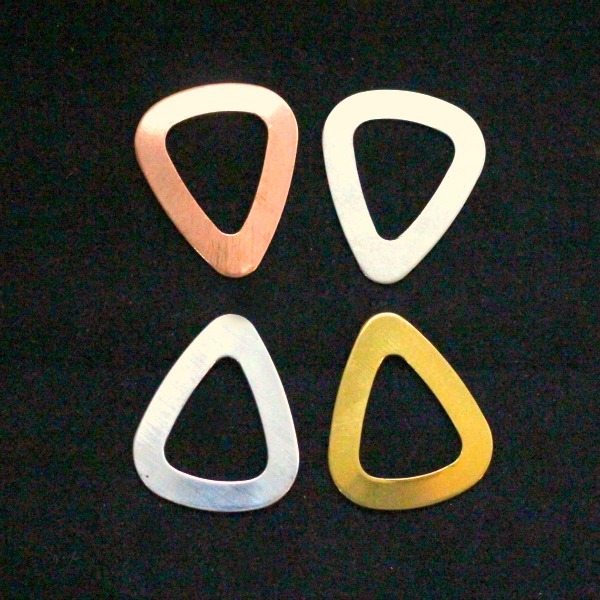 Use our Guitar Pick Washer stamping blanks to personalize your own line of hand stamped jewelry. 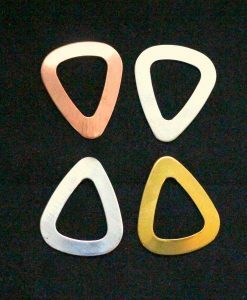 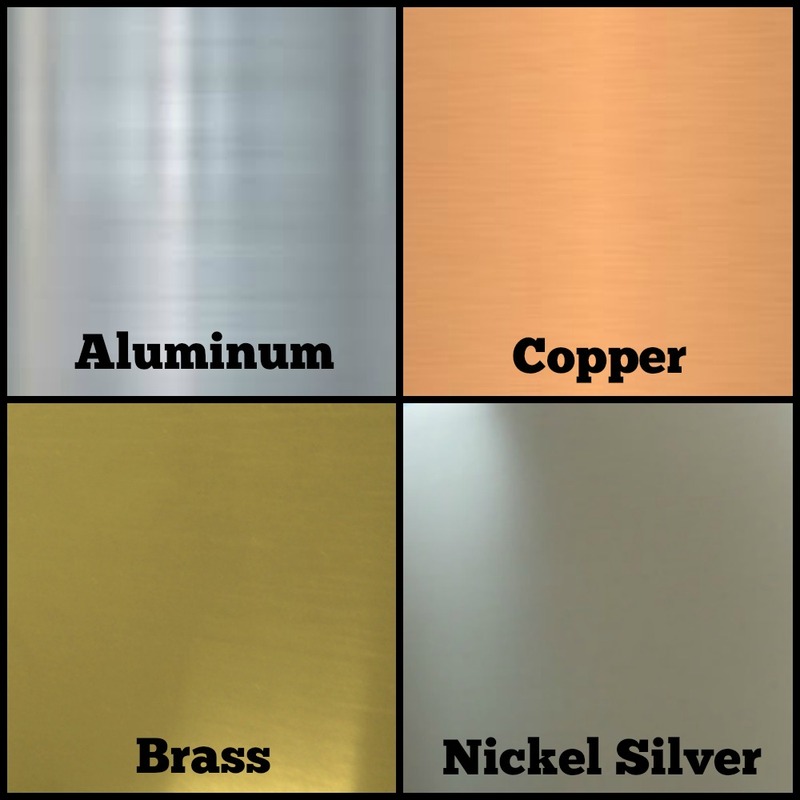 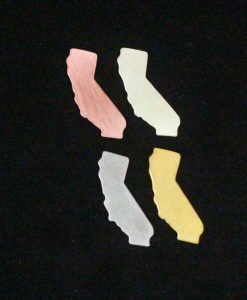 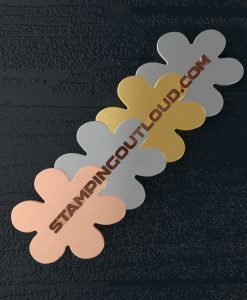 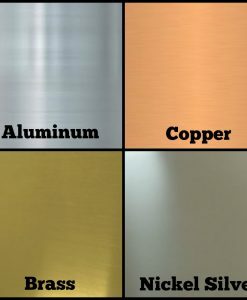 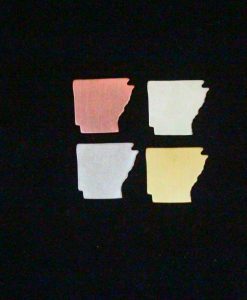 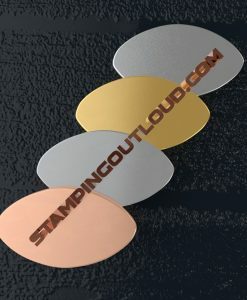 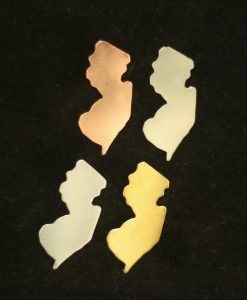 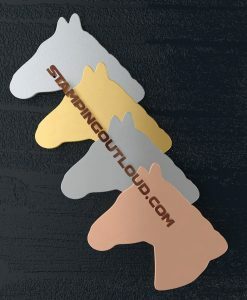 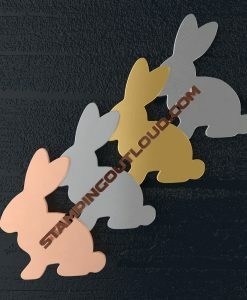 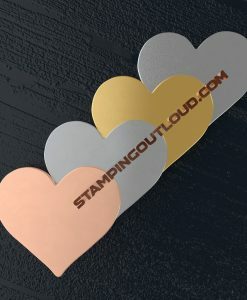 These washer stamping blanks come in a variety of metals included copper, brass, nickel silver and aluminum. 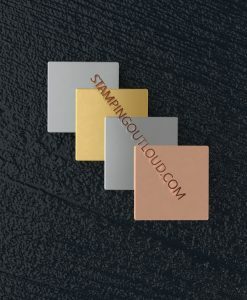 Each washer stamping blank has been deburred which means you will receive a completely burr free, smooth, stamping blank ready to work with.